The Phoenix Light Duty Solar Water Heater is highly efficient with up to a 97% thermal efficiency rating and three to one turndown ratio. 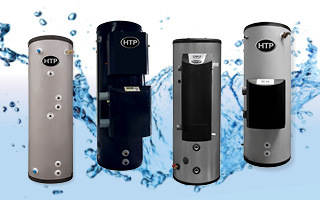 This water heater is constructed with durable 316L stainless steel to resist corrosion and last longer. Its light weight and top port connections make it easier to install. 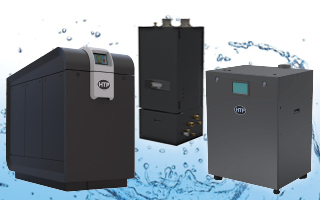 The solar capabilities can reduce your water heating bills by 50 to 75%. When connected to solar collectors, the Phoenix LD Solar Water Heater harnesses the power of the sun to provide ample domestic hot water while reducing energy costs and pollution. When the sun’s energy is not hot enough the gas back-up modulates and fires just enough to replace the solar energy shortage, or fires accordingly to carry the standard building load in cloudy weather. The Phoenix Light Duty Solar has up to a 97% thermal efficiency rating. 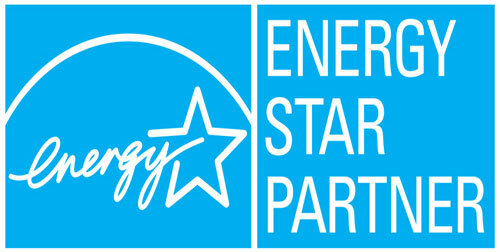 According to Energy Star, using sunshine to heat or preheat your water can cut your annual hot water costs in half. 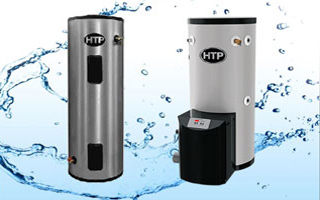 HTP high efficiency water heaters consume anywhere from 10-50% less energy than standard models. The Phoenix LD Solar has a 97% efficiency rating—that means that 97 cents of every dollar is used toward heating compared to a standard efficiency unit with 60% which only provides 60 cents worth of energy toward heating. Federal solar tax credits, utility rebates, and state incentives are also available for the Phoenix Light Duty Solar. 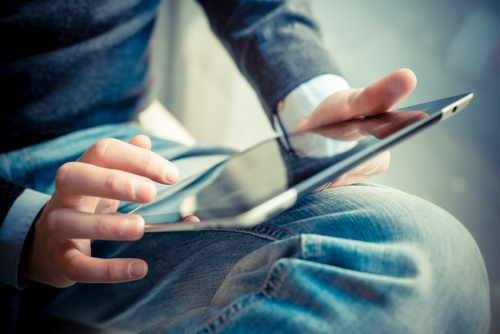 Energy compliance credits and fuel savings are also an added benefit! It provides high system efficiency even during low load conditions. The modulating burner operates at a three to one turndown ratio for greater savings. This unit also complies with the SCZQMD Rule 1146.2 – ultra low NOx emissions – making it eco-friendly! The Phoenix Light Duty Solar, PH76-80S (PH76-80SLP for liquid propane) ranges from 25,000 to 76,000 BTUs and has an 80 gallon capacity. This unit can be used for residential applications or light commercial applications. The Phoenix Light Duty Solar heat exchanger is made from corrugated stainless steel tubing offering more surface area and increasing heat exchanger capacity. 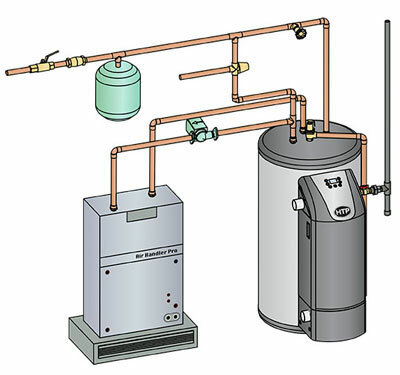 The backup heat exchanger operates when high recovery rates are needed. It is also manufactured with a unique stainless steel. 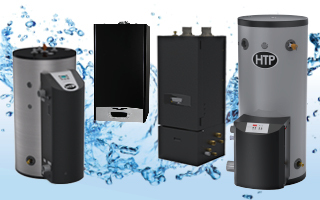 It is virtually maintenance free, minimizing lime scale build up and eliminating the blockage risk associated with low mass boilers. The Phoenix LD Solar is made with 2 inch thick environmentally safe foam insulation, reducing standby losses. Combine the Phoenix Light Duty Solar with an Air Handler for a domestic hot water and space heating combination appliance. This option allows you to heat your home with one appliance, saving you space. 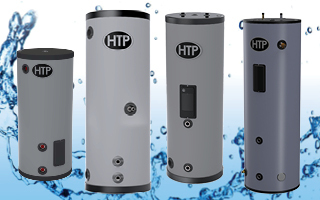 It has built-in auxiliary taps to provide connections to air handlers, radiant heating, or supplemental storage tanks. 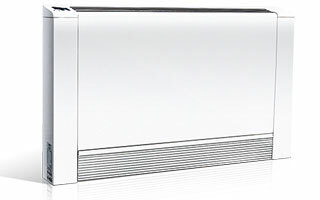 When paired with an air handler, the Phoenix LD provides consistent and even heat for ultimate comfort while maximizing efficiency and lowering energy costs. The Phoenix Light Duty Solar has a light weight tank for easier installation. The built in auxiliary taps provide connections to air handlers, space heating, building recirculation loop or supplemental storage tanks. It vents in inexpensive, easy to install PVC and CPVC. The Phoenix Solar is backed by a 10 year limited warranty.